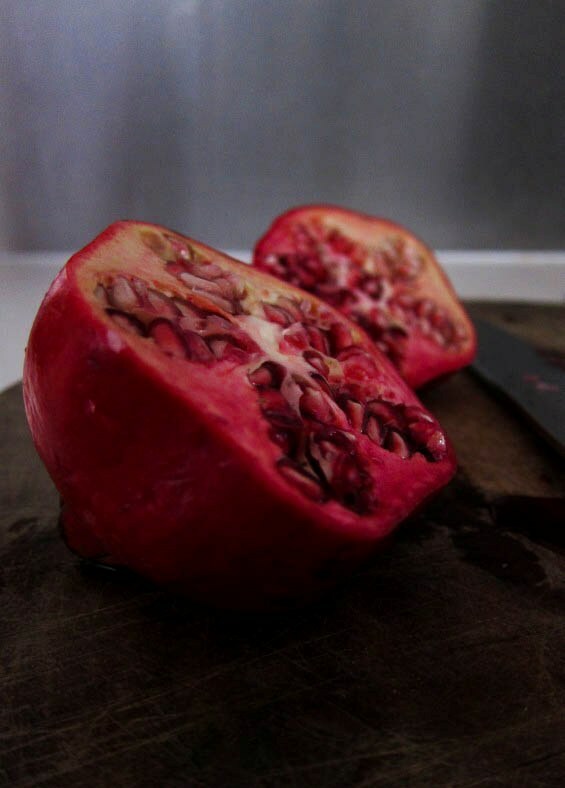 Hands up if you adore the pretty pomegranate, with its jewel-like aril-covered seeds that burst and tingle with sweet and slightly tart juices upon their procession through the annihilation machine that is your teeth. In plain English, I usually enjoy them quite heartily with a spoon - but as I like a bit of variety and experimentation, I recently decided to do something a little different. I had two pomegranates. I had a gorgeous, freshly plucked lemon that I was just itching to zest. Thus I put two and one together, and made a lemony pomegranate cordial. ingredients for the lemon-pomegranate cordial in a pot. Place pomegranate seeds, lemon zest and sugar in a pot. Pour in the water and bring to boil, stirring to dissolve the sugar, then turn down to medium heat and simmer uncovered for 30 minutes, pressing the seeds with a wooden spoon every now and then. Remove from heat, add the lemon juice and stir well. Let the cordial cool slightly before pouring through a fine mesh sieve into a sterilised jar or bottle. 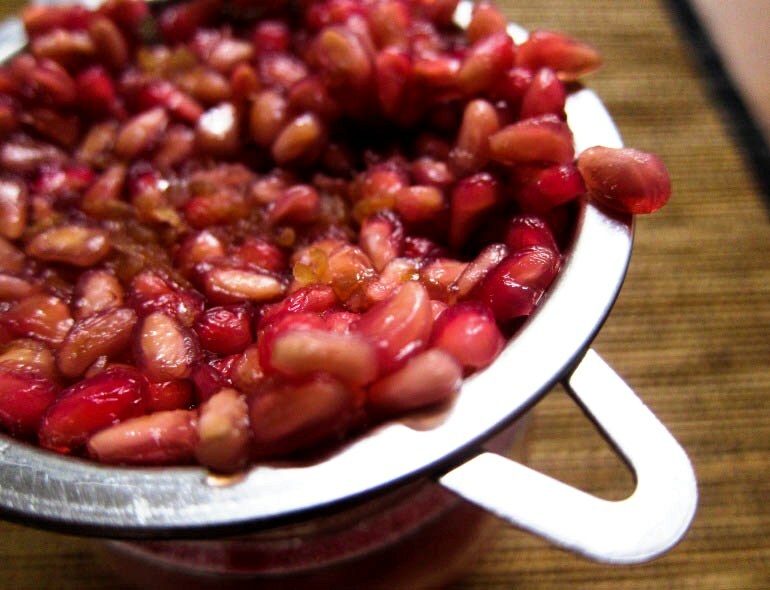 Press down hard on the seeds as you do so to extract the last traces of pomegranate juice, you don't want to waste any of that stuff! 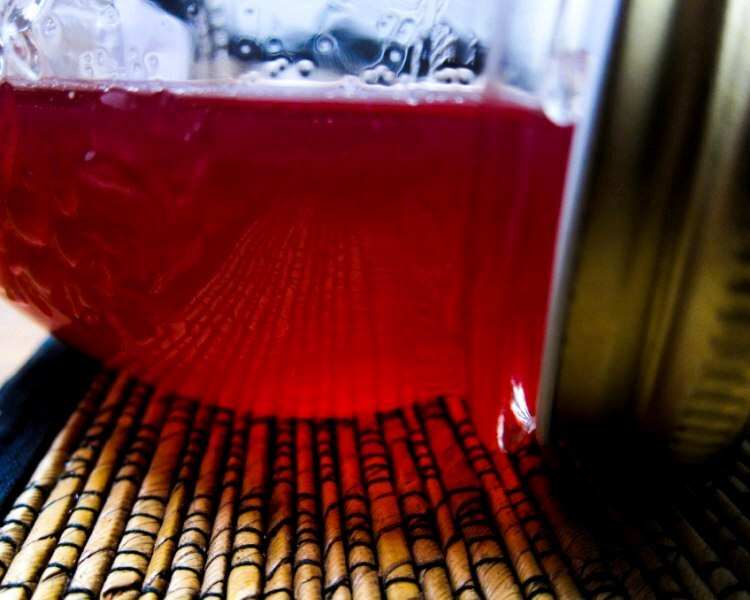 This cordial will keep in an air-tight jar or bottle in the fridge for up to 2 weeks. *The cordial might appear murky brown at the beginning - but once you add the lemon juice, it is reborn a glorious ruby red. *I sterilise my jars by washing them thoroughly and then letting them sit in boiling water for a couple of minutes. straining my lemony pomegranate cordial into a glass jar. I drink this two ways. Lightly muddled with a sprig of mint and icy cold water, it's light, bright and refreshing. Pair it with freshly boiled hot water, and it instantly transforms into a warm and soothing fruit tea. Really, you can't go wrong either way! You forgot the "in a cocktail with sparkling wine and a sprig of mint" - which is how I intend to drink it. 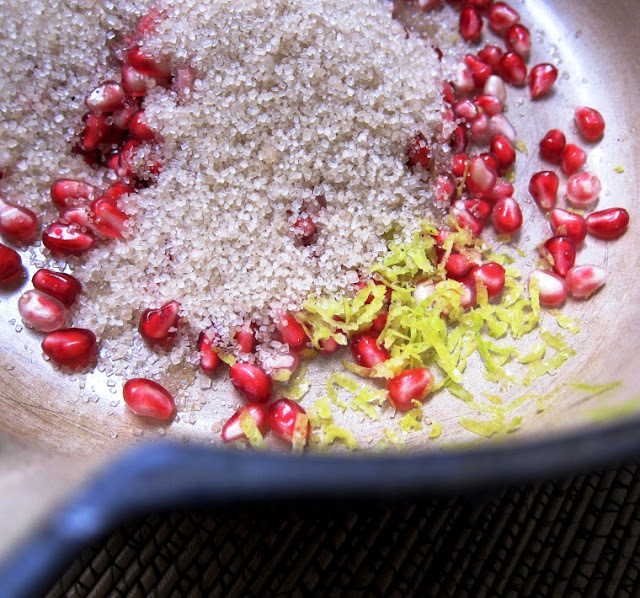 That photo of the seeds, sugar and zest is just perfection, Leafy! wow, such a healthy and wonderful cordial, can imagine the lovely taste. This reminds me of bandung but this is of course, I bet, tastes better than bandung! That looks very very refreshing. And delicious! I love pomegranate but dont use it much. A little too pricey here. But such a pretty fruit. The drink looks delicious, and very refreshing. Yum! I've never even considered making my own cordial! It would be so good to do that, though, because then I could make one like this, with the lemony-tang to counter the sweetness, and wouldn't find it too sickly sweet as I do store-bought cordials! Joyti, the pomegranate tree sounds glorious. Lucky you! oh so yum! :) I like anything with pomergranate! Haha msihua, true, this would go great in a cocktail! Pomegranate sure is so gorgeous to look at and also so delicious! AND it's good for you as well! This sounds delicious, I'll have to try it. Oh wow... what a beautiful colour and it is all natural! My hands are up for liking pomegranate. The only minus point is getting those seeds from the fruit - quite troublesome. Looks like a pretty refreshing drink! I like the vibrant red colour! I love the astringency of pomegranates. When I'm lazy I just buy the juice which I mix through things and a shot of vodka in it is always welcome!